In this monograph, author Klaus-Peter Gast approaches Le Corbusier from a new and unconventional angle. 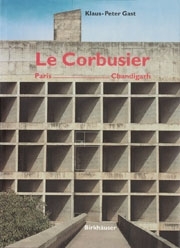 He analyses Le Corbusier s designs to reveal the geometric structures which give each building its unique sense of harmony. Through informative texts and fascinating drawings, the relationship between the rational, constructive and intuitive dimensions in his architecture emerges. Beginning with Le Corbusier s early works and moving chronologically to the icons of the late years - the Chapel at Ronchamp, the Convent of La Tourette - we see two distinct poles: the experimental white buildings around Paris, the epitome of which is the Villa Savoye, and by contrast, the almost mystical monumental buildings in India where Le Corbusier devoted his later years to building the government complex in Chandigarh.